I have learned to check on what other customers say about the narration and the quality of the recording before I buy an Audible book and this one had a couple of scathing reviews right up top. I bought it anyway on the strength of other reviews and I have to side with those who find the narration and recording satisfactory. Eve Matheson differentiates the characters well and gives them voices to match each personality. I didn't notice any issues with the volume. 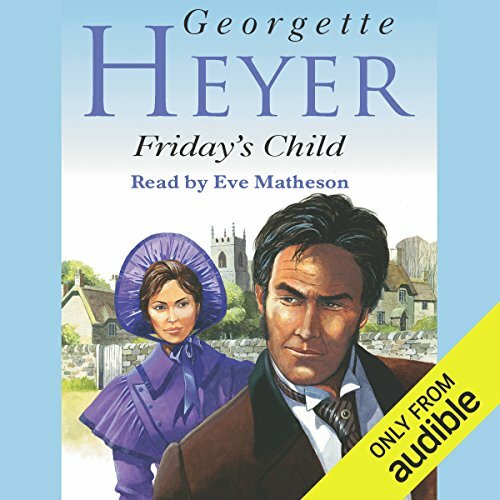 I have read and listened to several of Heyer's books, and Friday's Child is one of my favorites. Unlike tales where two people are married and they live happily ever after, the book really develops the characters' personalities, and explores the difficulties of a marriage between two from different social stations. It also is quite humorous, similar to These Old Shades. I respectfully disagree with the listener who faulted the skill of Eve Matheson's narration. She did an excellent job portraying the sweetness of the heroine, Kitten or Hero, and I enjoyed her melodious voice. Craziness abounds and you can't begin to figure out what will happen next. Not your average silliness. Except for the dowager ' s incessant sniveling, rare but there, the voices were great. It could have done with one less scrape of bad judgment, but an enjoyable listen all round. If you like GH you'll like this one. 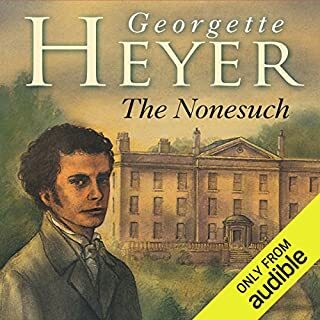 I am methodically working my way through all of the Heyer novels offered here on Audible, and I must agree with other readers who feel that this is one of her best and funniest books. The volatile hero's tendency to say (and act on) exactly what he's thinking and feeling, regardless of the inappropriateness to his company, and the naive, cheerful, universally accepting heroine are both delightful. 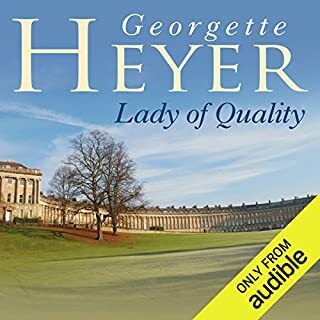 The secondary characters are truly some of her best and most humorous, though Heyer's secondary characters are ALWAYS better than those of most other authors. The relationship between Kitten and her husband's friends is wonderfully affectionate and sweet, and this adopted family was one of my favorite aspects of FRIDAY'S CHILD. The way that the events of the story play out was also extremely satisfying and intriguing. I recommend both this book and its narration unhesitatingly and without any reservation. I really enjoyed the characters. It was a great book to listen to going to work and I couldn't wait to here what lady sherry got herself into next. I really felt for Sherry. And his friends were comical. Eve Matheson was a good narrator once I got use to her different voices I followed along quite well. The audio levels were really inconsistent. While sometimes it was a little too loud, at other times it was so quiet as to be almost inaudible. Very distracting. Narrator speaks normally while reading content, speaks too softly while doing women characters' conversation, and shouts while doing men characters. I had to change the volume constantly and will never listen to this again. I tried to read this book once and just couldn't get into it, but the audio was addictive . At some point I thought one of Lord Sheringham's friends was channeling Bertie Wooster (of Jeeves and Wooster). 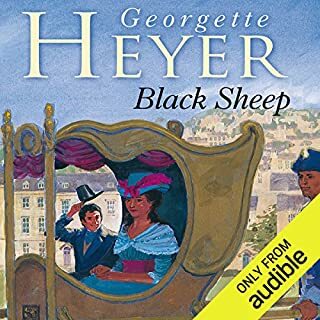 I just love Georgette Heyer's books and as another reader commented, you can give these to a ten year old without any qualms. Just great story telling. What an imagination! Please keep them coming, audible. It was hard for me to keep my patience and more than once I put the book down out of exasperation! Maybe it should have been a little shorter. 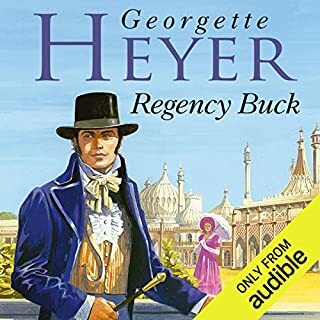 But as usual, Georgette Heyer created very engaging characters; otherwise I wouldn't have wanted so badly to knock their silly heads together! Yet I couldn't wait to finish it. That's how good it was. It's fun and light hearted, but warm and witty, and I can't recommend it enough. This is in my top 10, possibly even my top 5 Heyers. According to Joan Aitken Hodge, Heyer's biographer, it was Heyer's own favorite too. The heroine is fun and feisty but the real humour in the story is the group of young friends, Sherry, Gil, Ferdy and George and their escapades. Joan Aitkin Hodge has a lovely story of a woman writing to Heyer to say that she had been a political prisoner in Romania for 12 years in appalling conditions but had survived by telling and retelling the story of Kitten and Sherry and their friends over and over again to her cell mates. "Truly, your characters managed to awaken smiles, even when hearts were heavy, stomachs empty and the future dark indeed!" Superb book which was read brilliantly by Eve Matheson who captured, for me, the youth and vitality of 'kitten' and she didn't do bad job on all the rest of the characters either! This has always been a favourite of mine and although, in this day and age, very silly in places, it still remains a firm favourite although now it is an audio favourite. Well done Eve! 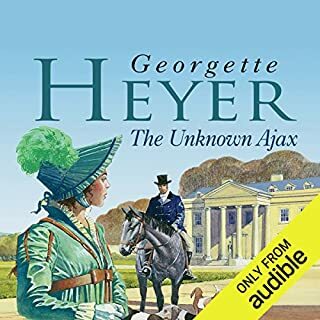 I am a great fan both of audiobooks and Georgette Heyer's romances. I really enjoyed this and Eve Matheson reads it with great skill and charm. The whole thing is a delight with some great set-piece comic scenes and funny characters. I would buy anything read by Eve Matheson again. Well, this one divided opinion, didn't it? This was another on my Heyer voyage that was more fun listened to than read. I agree in part with the reviewer who says that the character's actions weren't always logical, but that came across more strongly reading the book. The book was never one of my particular favourites because I was bored by the Incomparable, Isabella, and couldn't work out why everyone contined to tolerate Montague Reevesby. In Eve Matheson's hands - and voice - it flowed, made more sense, seemed more humourous and was overall an excellent narration. Each to his or her own - I thoroughly enjoyed this, hope you do too. Perhaps this book would have been better if it were not for the unfortunate reading of it by Eve Matheson. The conversation was either so quiet as to require the volume to be turned up to hear properly or turned down in the next minute as Ms Matheson was shouting the male voices. Needless to say I found this rendition of the book too unpleasant to be able to enjoy it very much for it's own sake. 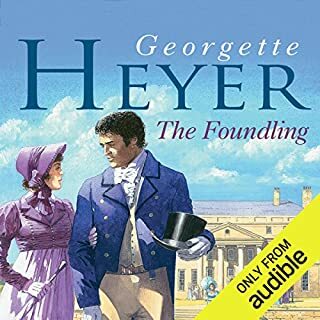 It would be good to say something positive about this book but I didn't find it as enjoyable as other books by Georgette Heyer, the story was average but not remarkable, although apart from the reading it was a pleasant story. I seem to be swimming against the tide? I had great hopes of Friday's Child; maybe that was the problem. I'd heard it was probably the author's own favourite and I'd read the existing reviews. So I settled down for a real treat but emerged feeling slightly let down. Unusually, I didn't warm to many of the characters. Gil was actually the most engaging and if Hero had had any sense (which she absolutely hadn't)she'd have gone off with him. His grandmother was also much more interesting than Lady Sheringham Senior; pity she appeared so near the end. Scrapes which seemed funny and entertaining towards the beginning began to seem tedious and unbelievable towards the end. And I found myself nitpicking about the logic of people's actions, rather than being able to get swept up in them. Finally, I couldn't really get on with Eve Matheson's various 'voices'. That's entirely a matter of personal taste I know. But I'm going back to Sian Phillips! I love this book and listen to it frequently - it always brings makes me feel cheery. Eve Matheson’s Narration enables you to identify each character easily so that you can sink into the plot. I loved all the characters especially “Ferdie” Ferdinand Fakenham - his determination to behave like a gentleman linked with a sweet innocence and timidity is accompanied by a strength of character and loyalty to his friends plus his fear of getting hurt always makes me smile. My favourite G Heyer. Very well read, most of the minor characters well defined although Isabella was almost as irritating audibly ad I found her when reading about her. Gil, Ferdy and George were excellent and Hero and Sherry superlative. It s a real shame about the narration, because the story is really let down by it. When I read the book I was frequently laughing out loud at the dialogue, but the weird intonation of the narrator took much of the humour away. Worth a listen, but I really hope they bring out another version, perhaps narrated by the excellent Phyllida Nash. I read this as a young girl. BUT.....Eve, did these characters such justice, I loved George, Gil and Ferdi. Georgette H has done it again, and Eve you have joined my stable of "Fabs"
Only negative was that the voice of the heroine was sometimes a bit gushy and annoying. This lighthearted story involves a raft of characters whose exploits both delight and engage our sympathies providing both humor and pathos. This is Georgette Heyer at her most entertaining. One of Heyer’s funniest. Eve Matheson does full justice to the hilarious cast of characters. The ending is a tightly contrived farce worthy of Oscar Wilde. A pretty silly story with annoying female characters, but Gil and Ferdy saved the novel. These lesser characters and Eve Mathieson's dramatisation made it a good listen.